When the discovery of two infants’ bodies is made at a Teacher Training College, Bennett and Owen are given the case. Soon a number of suspects is identified. There is something really exciting about starting a new series of books and getting to know the team of detectives and DCI Cyril Bennett and DS David Owen are no exception. Talk about opposites but it works beautifully. I am going to love finding out more about these two as the series unfolds. I started reading and thought ‘Have I got the right book?’ poppy fields, France and fallen British soldiers that died in the war. But oh yes I certainly had and I soon came to the conclusion that I didn’t want to get on the wrong side of this bloke. I know that he was a nutter but to be honest I could see where he was coming from. Did I just say that? Damn that justice system that makes a mockery of punishment! I just loved how his logic kicked his conscience to play a role too, pure magic! Now you have two detectives hard at work when wham, what a nightmare find! Two dead babies from years ago, our intrepid DCI and DS soon have an abundance of suspects due to todays technical advances and the story soon takes off at quite a pace in all directions. This is a very intriguing story that you will want to carry on reading without stopping, with the main characters feeling like you have known them for years when you finish. Bring on number two please. 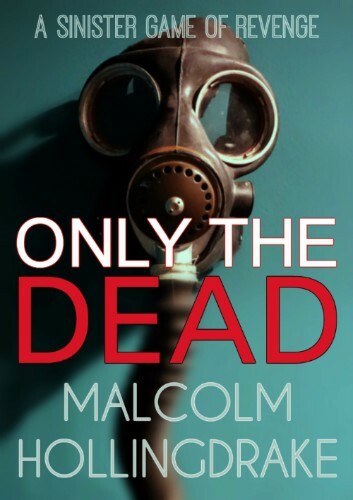 Malcolm has written a number of successful short stories and has two books now available. Presently he is concentrating on a series of crime novels set in Harrogate, North Yorkshire. I am thrilled to announce that I have just signed a publishing deal with Bloodhound Books for the DCI Cyril Bennett novels.